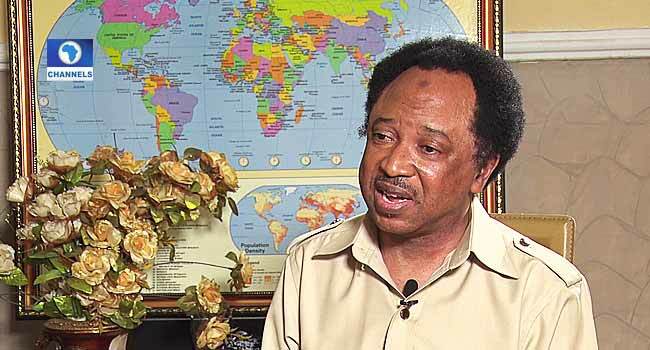 The Senator representing Kaduna Central Senatorial district, Mr Shehu Sani, has said that no congresses for the All Progressives Congress (APC) were held in the state. Mr Sani said this during an interview on Channels Television’s politics programme, Roadmap 2019 on Monday. According to him, while the congresses held in several states were marred with violence, he maintained that in the case of Kaduna State, there was no congress at all. He said the APC had failed to set an example for other parties by organizing hitch-free congresses, a situation which he believes was a reflection of the party’s realities. “What I can say of the APC congresses, is that it is reflective of the realities, the chaos, the troubles, the headaches and the heartaches of the party itself. “The congresses were supposed to showcase internal democracy. It was also supposed to showcase that the party has come of age and it was determined to set an example and to inspire others to follow but what we have seen was that the congresses turned out to be the summation of its trouble,” he said. Speaking further, Sani said that the party was “supposed to demonstrate that it is a good and better alternative and that it can control its members and carry everyone along. “But the reality is that the APC as a party has failed to organize congresses that could have inspired others and in my own state there was virtually no congress. “All that they did was simply to pretend that there was one and at the end of the day, write lists in a hotel and submit it to the headquarters as the list of delegates”. He, however, noted that if the party refuses to address the grievances and the issues that were raised, “there will be trouble in the end”. Speaking on other issues such as his revelation of senators’ earnings earlier in the year, which stirred a debate across social media, Mr Sani said it was aimed at encouraging transparency and accountability in governance. He had revealed that Senators receive N13.5 million monthly as running cost, excluding a N700,000 monthly consolidated salary and allowance which they also receive. Sani further stated that it was aimed at prompting the public to ask questions about the remuneration in other arms of government. “There should be no grey areas in public office and now that Nigerians know what the members of the National Assembly are earning, they should also ask what the running cost of our ministers is, our governors, the head of government parastatals, presidential advisers, aides and men around the president. What is the running cost of the president and the vice president? “It may be unpalatable and painful for the fact that I revealed our earnings or what we are being given every month but it has healed and has brought a closed chapter to the fact that people don’t know what we are actually earning. “Now we know and now if you are doing some good to your people, they know very well that it’s not an act of charity, it is not also an act of philanthropy, that you are giving them what rightly belongs to them,” the Senator said.